Workpointe helps our military solve their storage needs. We’ll keep you organized so you can focus on keeping us safe. There is over one million active personnel currently serving the United States military and organizing the immense resources that come with this is a major challenge. As the number of people enrolled in the military continues to grow, as too does the weapons, uniforms, supplies and other materials that need to be on hand at all times. 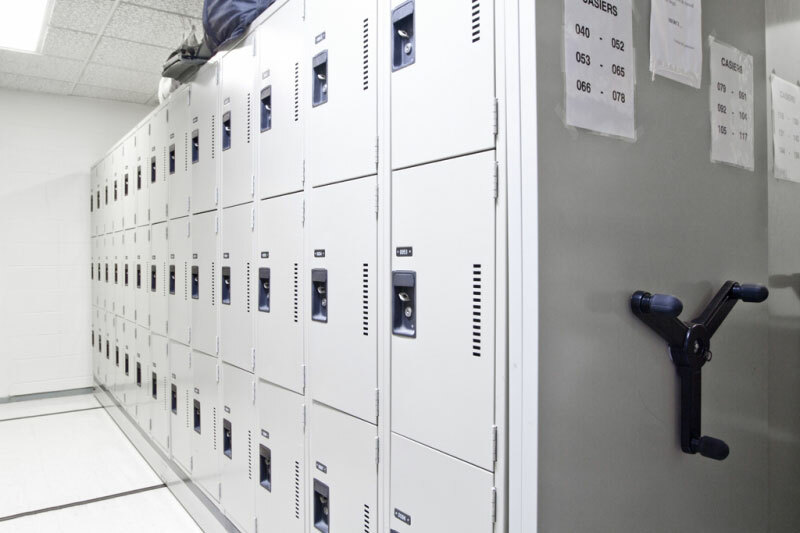 We can help meet the challenges associated with military storage and can help you to create highly functional and effective spaces that help personnel to perform their duties to the best of their abilities. We have a wide range of storage solutions available that can specifically meet military base and deployment storage needs. 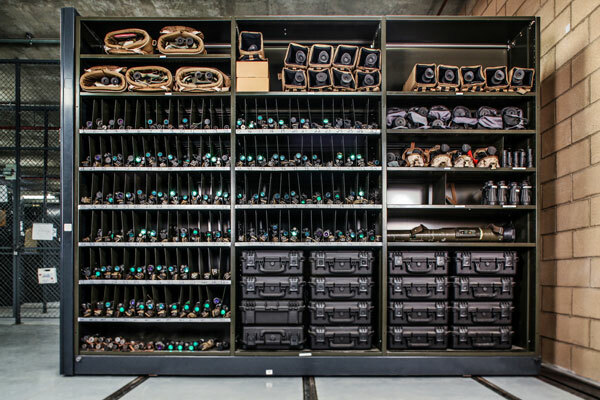 The Universal Weapons Rack (UWR) was specifically designed to offer an effective weapons storage system that could meet a variety of deployment scenarios. This fully flexible system can be readily adjusted into a multitude of different configurations to store weapons of different shapes and sizes, whether you are looking to store weapons with or without optics attached. These dynamic systems can be paired with high-density mobile storage to create the ultimate in storage efficiency and effectiveness. The Central Issue Facility (CIF) sits at the heart of modern-day military bases and is a thriving and busy hub in which numerous activities take place. The CIF is responsible for ensuring the clothing and equipment are available on demand, be it for war or training, and that all resources are organized in an effective and accessible manner. One or two lapses in basic organizational procedures can bring the whole unit down; as such, storage systems need to be optimized and seamless. high-density mobile systems provide optimal, proven storage methods that can significantly reduce transaction time while also ensuring that mistakes do not happen. Financial Liability Investigation of Property Loss (FLIPLs) occurs when an investigation is conducted into the events surrounding the loss, damage or destruction of important property. To avoid any incidents of FLIPLs, it is important that all weapons and high-value assets are fully controlled and safeguarded at all times. You are accountable for your equipment, and this is a serious responsibility that requires stringent maintenance systems. Our advanced storage systems can help you to avoid FLIPLs, freeing you to concentrate on more important tasks and issues. Ensure that all your military gear and equipment is organized, secure and ready for deployment. Email our specialist today to find out more about our extensive range of storage knowledge.